A bombshell report confirms that the Obama administration knew months before the November elections that the Left-wing group “Antifa” was responsible for instigating nearly all violence at Trump political rallies and conservative speaking events. Moreover, Politico reported Friday, the FBI and the Department of Homeland Security had declared Antifa members “domestic terrorists” in a report written in April 2016, at a time when Donald J. Trump was sailing to the Republican nomination. The fact that the Obama administration was aware of the threat posed by Antifa and was fully knowledgeable of the fact that its far-Left members were causing the vast majority of political violence last year lays waste to Democrats’ insistence that Trump supporters were mostly responsible. 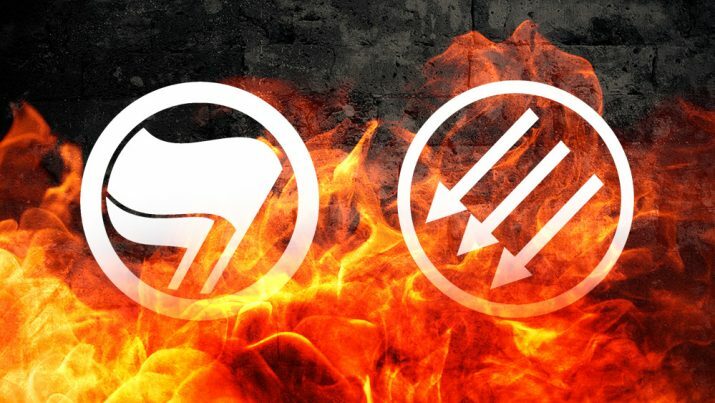 The April 2016 assessment and DHS’ continued tracking of Antifa as a terrorist group also validates Trump’s claims in the aftermath of the Charlottesville violence that both sides were indeed to blame for the violence. Politico, no ally of the president, made sure to quote some law enforcement officials blamed Trump’s rhetoric and policies for the formation of Antifa and other Alt-Left groups. But the outlet never acknowledges that the attitudes and political ideology of Antifa more closely align with those of Barack Obama and former Democratic presidential contender Sen. Bernie Sanders. Nor does the site mention that Alt-Left supporters of both Obama and Sanders have been responsible for shootings and other violent acts committed against Republicans and conservatives. But it’s clear that everyone is well aware of which groups are posing the gravest danger to American civil society since the 1960s — and it’s not typical Trump supporters. What’s more, the FBI and DHS both believe that we’ve not yet see the peak of violence — that the worst is still to come.